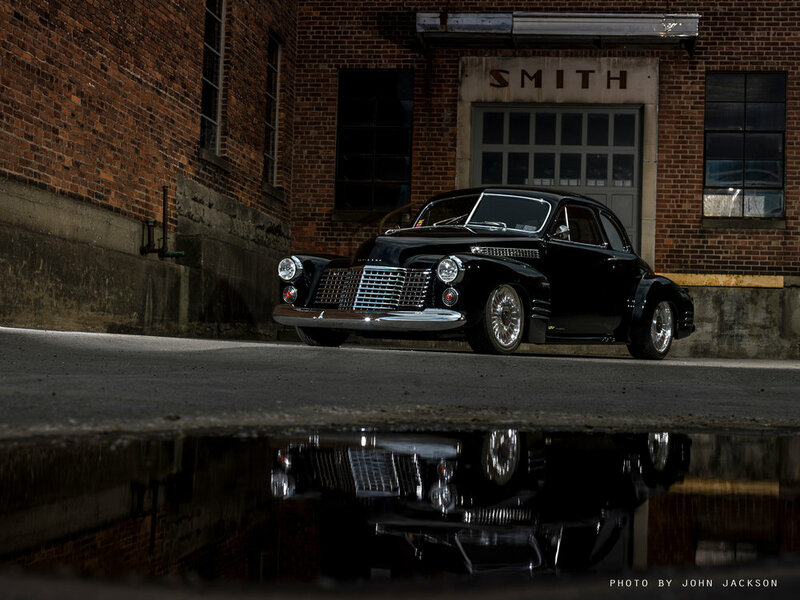 This is a bespoke 1941 Cadillac 2 door coupe built by Tucci Hot Rods. Starting from the bottom up, the chassis was hand made by Tucci Hot Rods to accept a 2006 C6 Corvette front and rear suspension. It uses Bilstein coilovers on all 4 corners. The powerplant is a 2006 Cadillac XLR-V dual intercooled supercharged Northstar. The supercharger has been ported and polished and now makes just over 500 rear wheel horsepower. Since the Northstar engines only came with an automatic, McLeod made a custom twin disc clutch to mate the 2006 Corvette 6 speed manual to the Cadillac engine. The front end of the car has been extensively modified. To create a more streamlined look, the grill has been laid back and the hood has been pancaked. All stock exterior trim was retained and re-chromed. The rear fenders were welded to the body to make a smooth transition from body to fenders. The wheels are one-off by Colorado Custom, 20" wheels in the rear and 18" wheels up front. Falken Tires connect the car to the road. Air conditioning and heat are supplied but a full Vintage Air A/C system. Power steering, power brakes and power windows are just some of the late model trademarks. 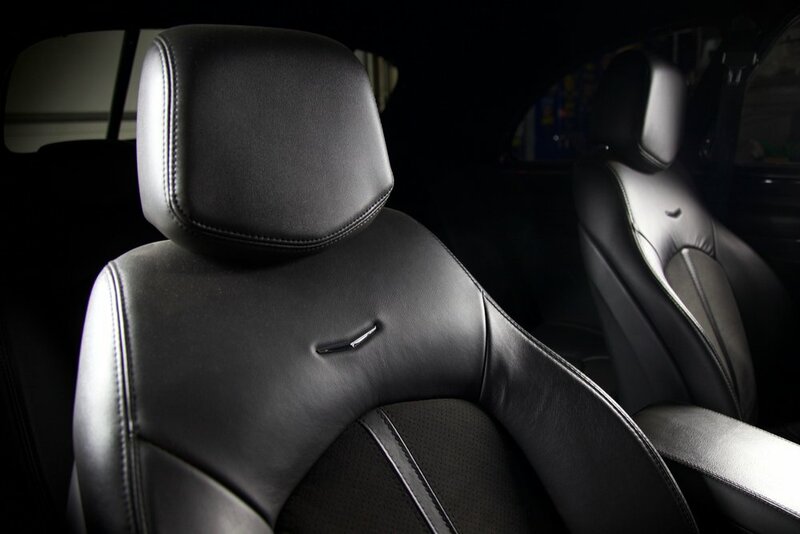 A 2010 CTS-V Cadillac interior creates a modern but classic feel. 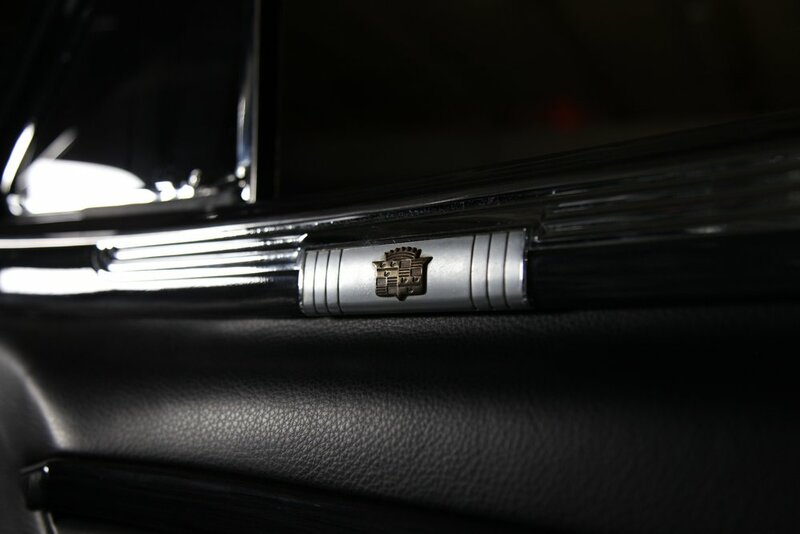 The CTS-V center console is blended into the 1941 dash. 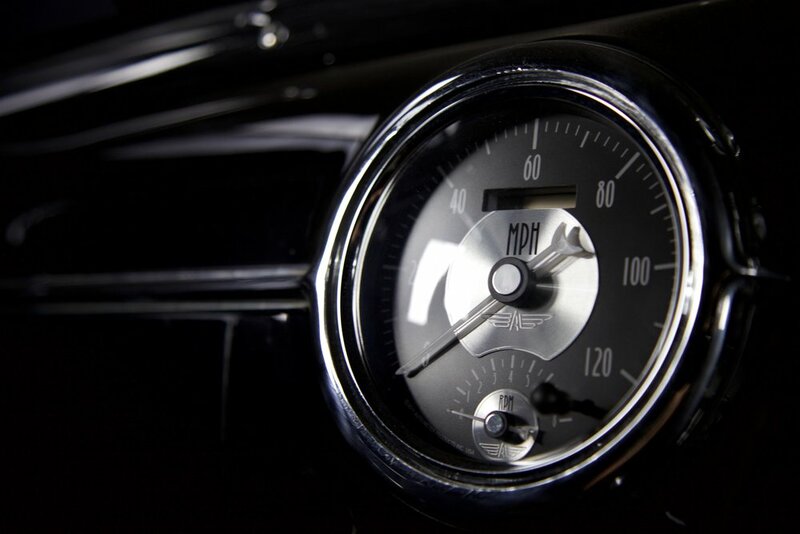 The stock gauges were replaced with classic feel Autometer gauges. A Touch N Go push button start system fires up the 4.6L V8. Night driving is no problem with high powered HID headlights. A handmade stainless steel exhaust system from the headers back utilizes Borla mufflers for a very European sound. A stainless steel gas tank houses a high quality Aeromotive fuel system. 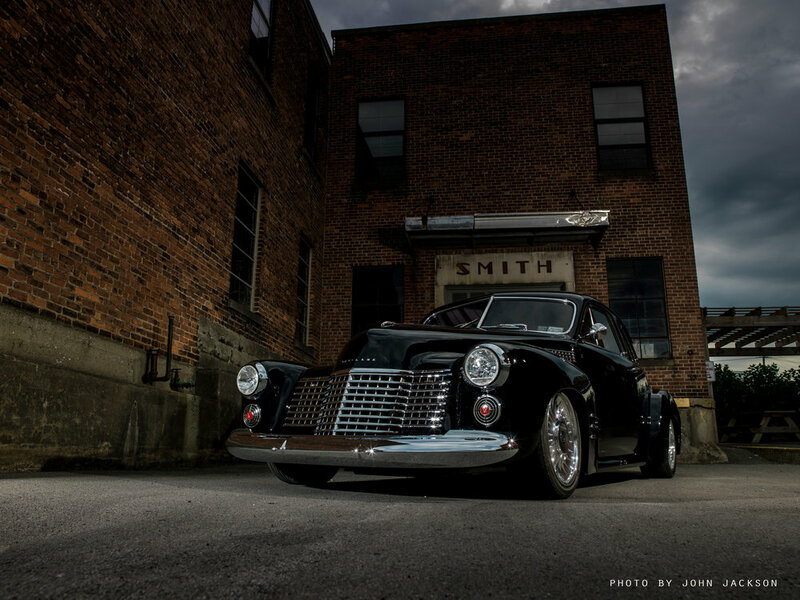 This car has won numerous awards along with being invited to be displayed on the main floor at SEMA, on the cover of Hot Rod and Restoration magazine as well as being the feature car and on display at the 2013 Hot Rod and Restoration show in Indianapolis. It has been shot in a studio by Steet Rodder Magazine. The Cadillac has been picked for a Top 100 pick for Street Rodder Magazine. It won a 1st place at the 2013 Grand National Roadster Show in Pomona, CA. as well as 1st place in the Custom Rod category at the 2013 Detroit Autorama show.